Gold Standard Drug Database is the solution powered to fulfill the evolving demands of complex healthcare systems and applications. Whether you need drug data for any type of use today ─ or for visionary solutions we haven’t even imagined yet ─ Gold Standard Drug Database is the integrated drug data partner you will value for generations to come. Explore our Content Sets, and read about some of the ways our customers use Gold Standard Drug Database below. Strong drug decision support within the provider’s workflow can help to boost productivity, stop preventable adverse drug events, improve patient outcomes and reduce hospital readmissions. Gold Standard Drug Database supplies the knowledge providers need to make safe and effective medication decisions toward these goals. Gold Standard Drug Database supports clinicians in acute care settings with drug data to move through medication-oriented tasks efficiently and safely. Healthcare providers who must get the right medication to the right patient need drug information that hums in the background of their workflow. 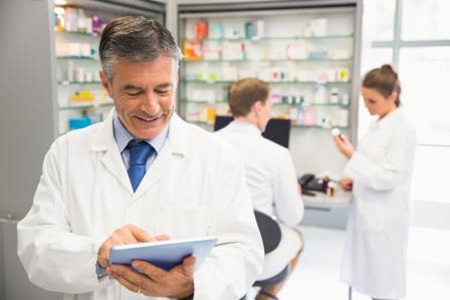 Gold Standard Drug Database supports pharmacists, nurses and other clinicians in acute care settings with drug data that allows them to move through medication-oriented tasks effortlessly, efficiently and safely. Gold Standard Drug Database gives pharmacists in ambulatory settings the tools to ease patient care routines, reduce costs and safely manage drug regimens. Pharmacists are integral and trusted members of the patient’s healthcare team. Gold Standard Drug Database gives pharmacists in ambulatory settings the tools for efficient medication dispensing and beyond ─ with drug data that helps to ease patient care routines, reduce costs and safely manage medication regimens. Gold Standard Drug Database equips users responsible for medication management programs with tools to reduce drug errors and improve drug delivery. Pharmacists play a crucial role in ensuring that patients achieve optimal therapeutic outcomes. This achievement is partly accomplished through medication reconciliation, adherence monitoring and education programs. Gold Standard Drug Database informs pharmacists responsible for these programs so they can reduce medication risks and costs while improving drug delivery. Gold Standard Drug Database helps users adjudicate claims, meet regulatory requirements, ensure fair reimbursements & enhance operational efficiency. Current and reliable drug information is key to verifying pharmacy claims for adjudication and audits. Additionally, a historically high volume of prescriptions, with a large portion funded by government payers, is driving an increase in audits and regulatory oversight to prevent fraud, waste and abuse. Through TRUE Daily Updates™, Elsevier’s drug database helps our customers adjudicate claims, support regulatory requirements, ensure fair reimbursements and enhance overall operational efficiency. Gold Standard Drug Database offers robust capabilities for effective drug utilization review (DUR) programs. Effective DUR programs aid in dispensing the correct medications, identifying drug therapy problems and complying with government regulations. Analyzing DUR results provides the means to identify trends in prescribing for drug groups and diseases, leading to collaborative care and improved drug therapy. Gold Standard Drug Database offers robust capabilities for effective prospective, concurrent and retrospective DUR programs. Gold Standard Drug Database supplies resources to support both the clinical and financial benefits of formulary management. More than just a list of medications approved for use, formulary management speaks to the process of evaluating clinical literature to select appropriate medications for specific needs, and developing guidelines for dispensing and administering medications. Formularies are also effective cost containment tools. Gold Standard Drug Database supplies resources to support both the clinical and financial benefits of formulary management. Gold Standard Drug Database supports users in the drug supply chain with pricing data to drive effective price analysis & maintain profitable margins. Healthcare professionals and stakeholders across the drug supply chain depend on timely and accurate drug pricing data to drive effective price analysis and maintain profitable margins. As the Drug Price Leader, Elsevier supports our customers with drug pricing tools to help navigate through market volatility, maintain transparency and control costs. As medicine continues to evolve at an electric pace, Gold Standard Drug Database is unique in offering technology and content able to keep progressing with our customers. Gold Standard Drug Database supports advanced areas of healthcare such as pharmacogenomics, personalized medicine, health wearables and other mobile tech, bio-inspired engineering and so much more. We’re always looking ahead to enhancing the future of healthcare. If you are, too, let’s start exploring how Gold Standard Drug Database can empower your business growth now and in the future. Contact us and partner with Elsevier to develop for the future. Learn how Elsevier's Gold Standard Drug Database can support your organization's compliance, patient engagement and cost reduction efforts.